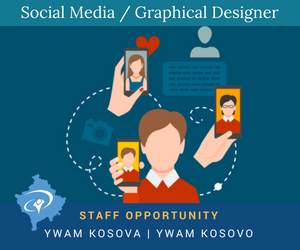 Even though Kosovo might not be the most famous tourist spot, it is a hidden treasure with an incredibly lovely culture, breathtaking beautiful landscape and amazing places to visit. 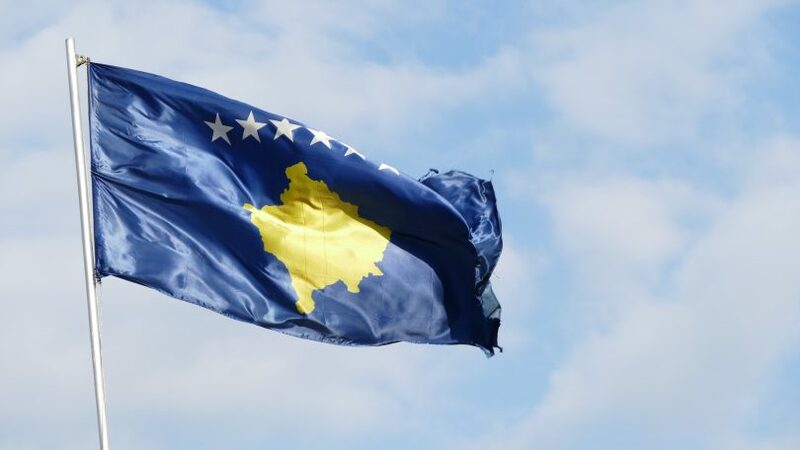 Here are our Top 10 of Kosovo however, there are much more things to do, places to see and experiences to be made. 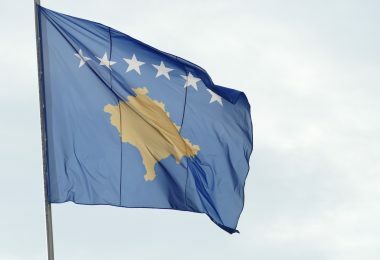 Pristina is the capital of Kosovo and full of beautiful spots to visit. As Mother Teresa is actually Albanian, the Mother Teresa Cathedral is a must see in the city. You can also go up the tower from where you will have an amazing view over the whole city. Right across the cathedral you will find one of the “world’s ugliest buildings”, the National Library of Pristina with a very interesting architecture. 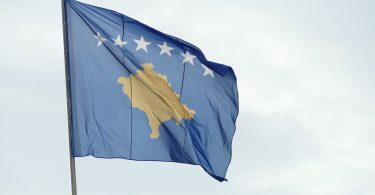 Also visit the Newborn Monument which had been constituted on the 17th of February, 2008, the day Kosovo declared it’s independence from Serbia. 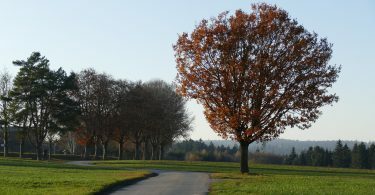 The design of the monument is being changed every year. Beside interesting sights to visit, Pristina is full of cafés, music and young people. 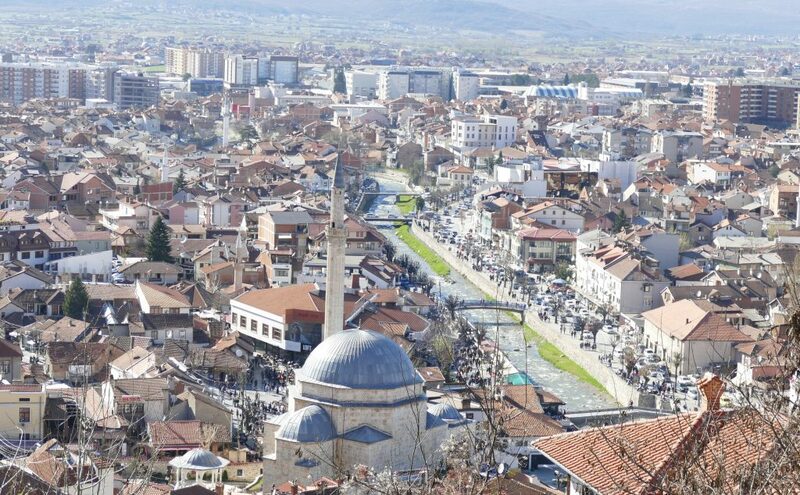 Prizren is Kosovo’s cultural capital and one of the most vistited cities in the country. It has a beautiful old town full of history, tradition, culture and beautiful cafés. Furthermore, Prizren holds countless ancient mosques and orthodox churches. A must do in Prizren is to walk up the fortress and enjoy a breathtaking view over the whole city and the surrounding mountains. 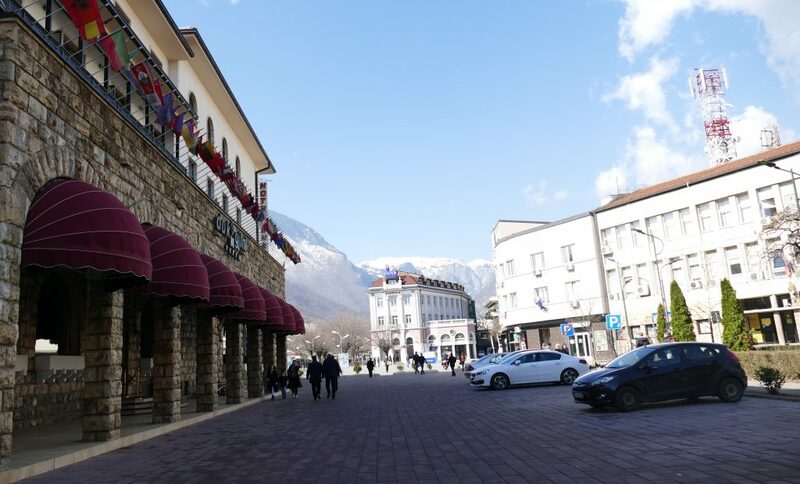 Peja is located close to the Rugova mountains and also worth to pay a visit. 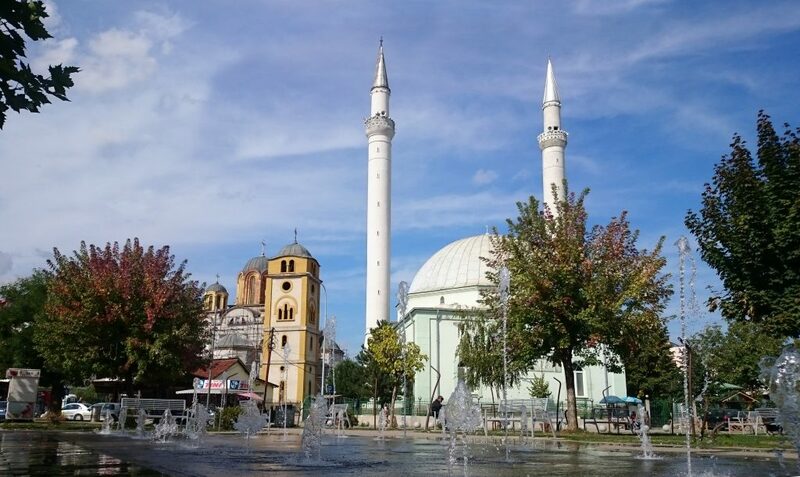 A beautiful river flowing through the city, small streets, a bazar full of market stalls, and a beautiful old mosque are waiting for you.The whole region around Peja shows a beautiful landscape as well. In Kosovo hills and mountains are all around. The Rugova mountains are designated as National Park and one of the best and most beautiful spots in the country to go hiking and skiing. 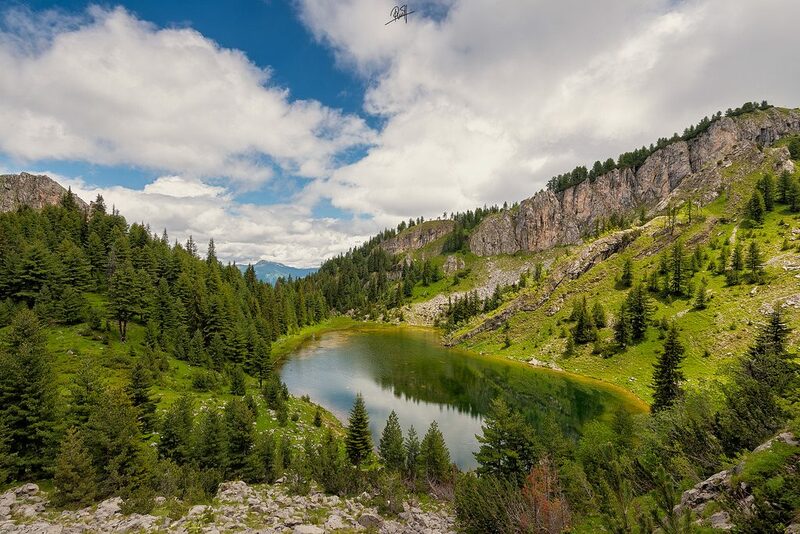 In Rugova you will find many caves, waterfalls and glacial lakes as well. Also visit the Rugova canyon which is considered to be one of Europe’s longest and deepest canyons. 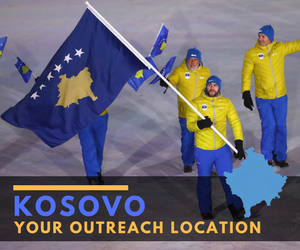 Brezovica is Kosovo’s most visited winter tourist destination and famous for its beautiful ski resorts. It always has a big amount of snow during the winter season. 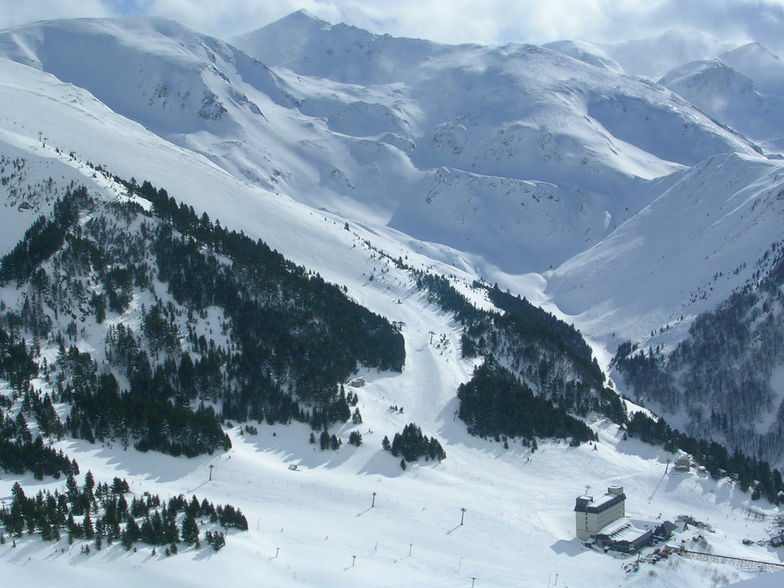 There are nine ski runs located in the area with a distance of up to 3.500 meters. Besides this, skiing in Kosovo is not expensive compared to most other spots in Europe. 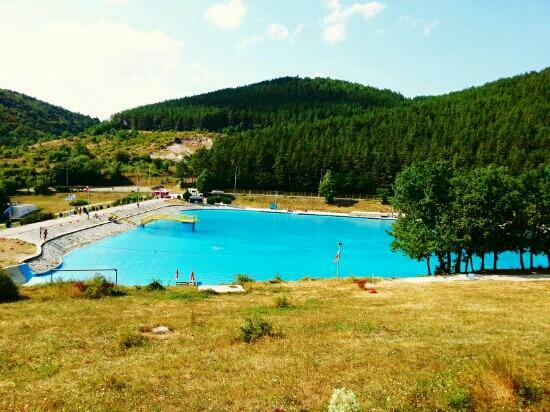 Germia is a regional park not far from the center of Pristina where you can go jogging, rent a bike, swim in the pool and just get out of the city, enjoying the beautiful flora and fauna. 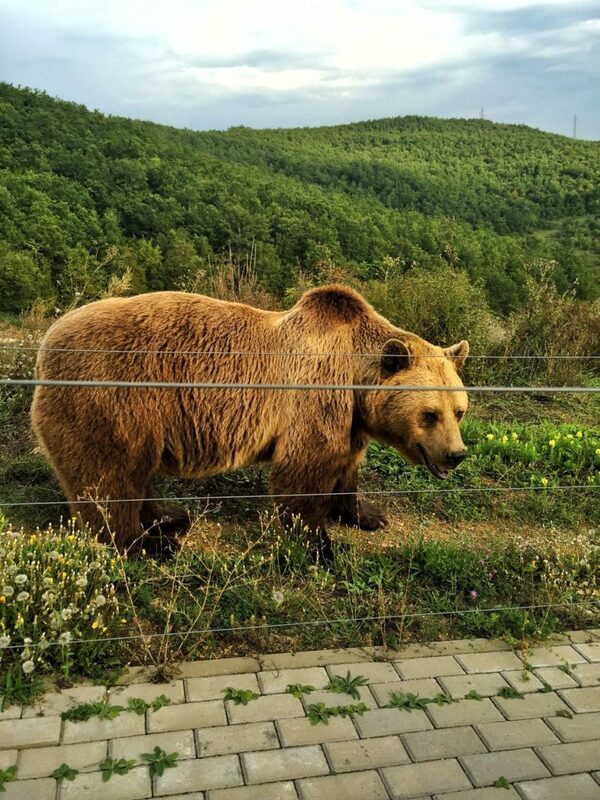 The Bear Sanctuary 20 km from Pristina is a very unique place to visit in Kosovo. It provides a home for many rescued bears from the region who have been kept in cages as entertainment at restaurants. In the sanctuary the bears have enough space to stroll free and can live a happy life. 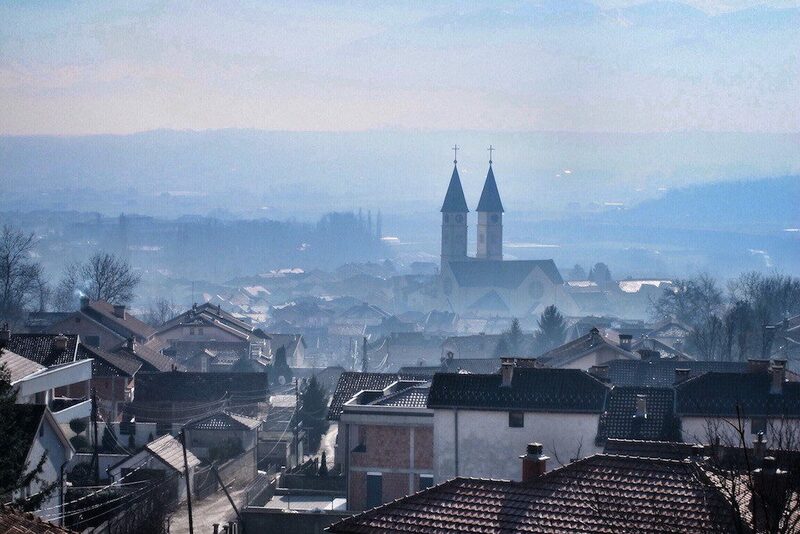 Gjakova is a lovely city in the west of Kosovo. Expecially the Old Bazaar is very cute and is actually the oldest bazaar in whole Kosovo where you will find handmade souvenirs created by local artists. 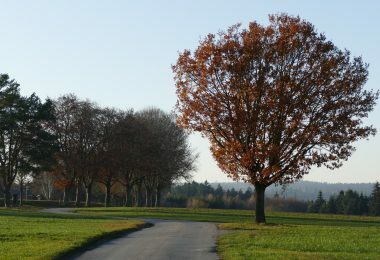 Furthermore this town has some parks and hills with not traffic, where you can go hiking. From the Cabrati hill you can enjoy a beautiful view over the town. 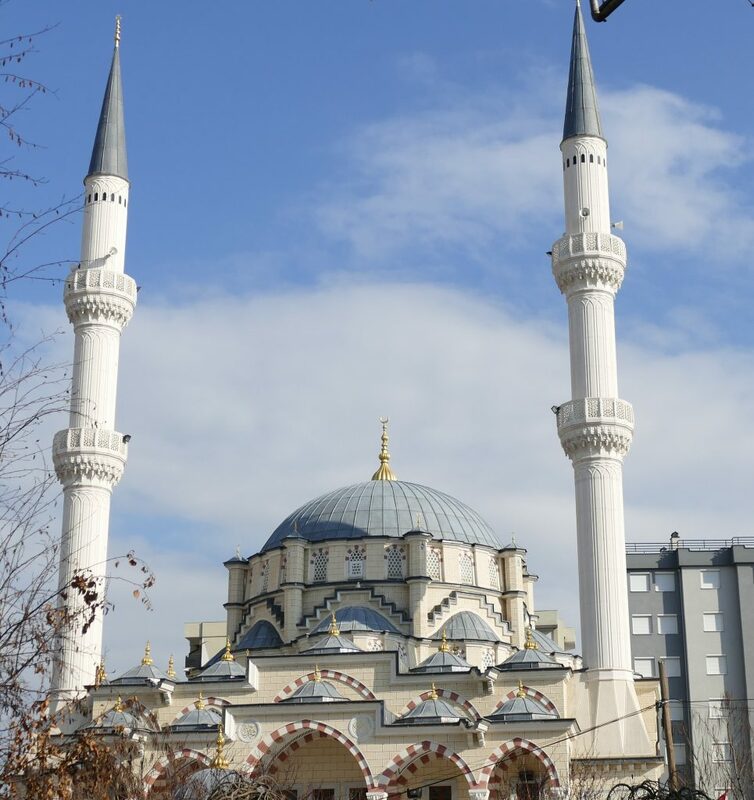 Ferizaj is a city full of diversity and has a very nice center where you will find the church and the mosque standing wall to wall. Walk along the promenade and visit small shops as well as cafés and restaurants or go on one of the cities music festivals. 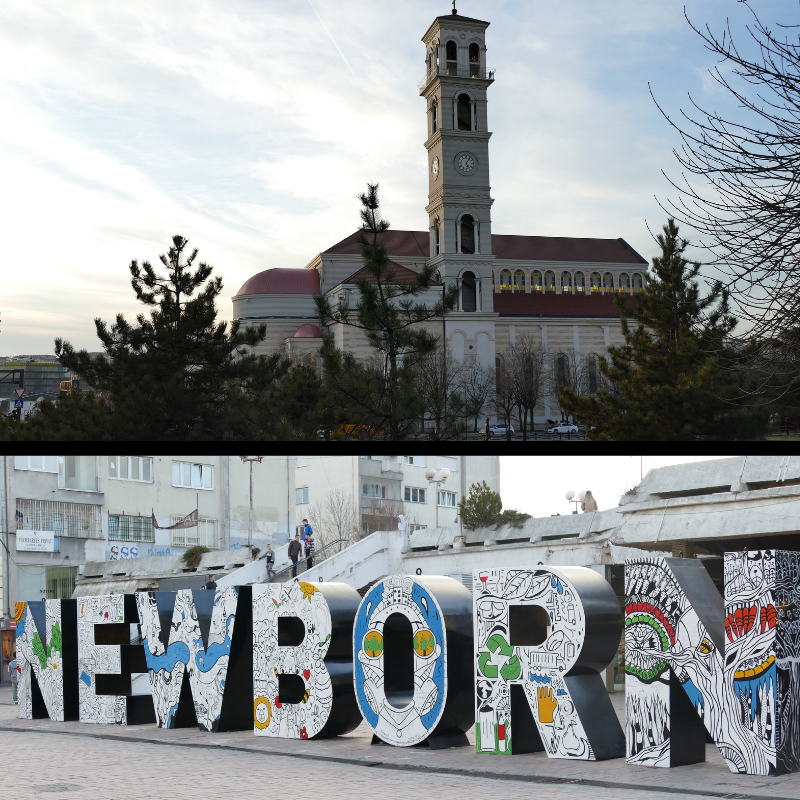 Mitrovica as well is a quite fascinating place to visit, especially for those who are interested into history. 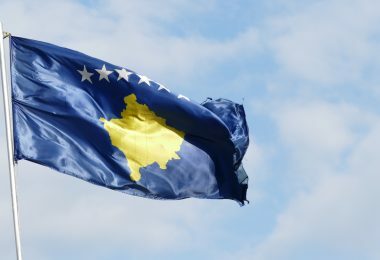 As this city is divided into a Kosovo-Albanian part and a Serbian part, be aware that there still might be tensions. However, it is generally not dangerous for tourists and you can enjoy visiting one of the most beautiful mosques in the country as well as small streets, shops and cafés.